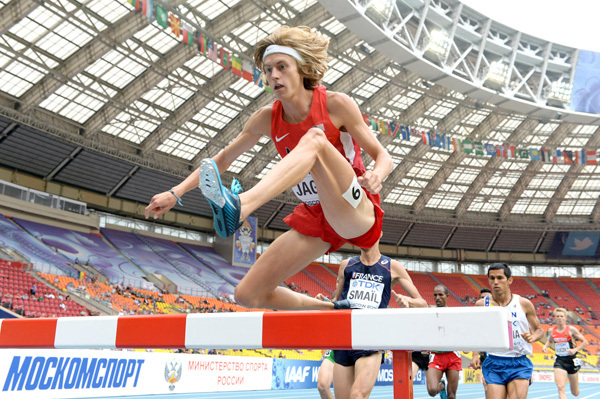 Evan Jager’s first steeple of the year and Chris Solinsky’s debut as a USATF.tv broadcaster are among the highlights of the Hoka One One Middle Distance Classic, which will be held Friday night at Occidental College in Los Angeles. The meet will be broadcast live on USATF.tv here. The broadcast is scheduled to begin at 6:15 p.m. Pacific/9:15 p.m. Eastern. Chris Solinsky and fellow former Bowerman Track Club member Alan Webb will be adding their expertise to the broadcast. Although this will be Chris’ first USATF.tv broadcast, he’s not a neophyte; he was part of the announcing team for several Nike Cross National webcasts and also helped with an NBC broadcast of the Boston Indoor Games. 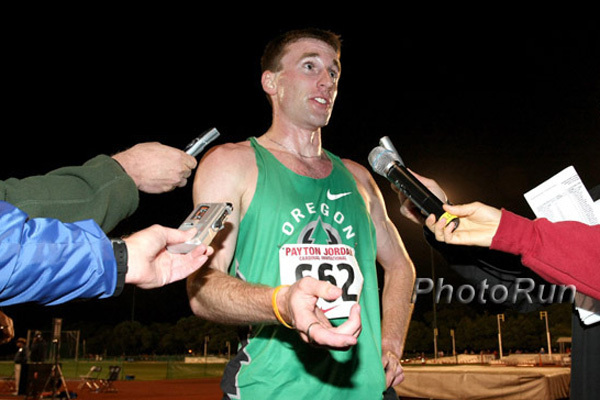 Chris Solinsky, seen here after setting the U.S. 10,000-meter record in 2010, will be on the other end of the mic at Friday’s Oxy Meet in Los Angeles.